Your SalesforceIQ Home screen provides a centralized place to manage your day with intelligence. Your Home screen gathers meetings, tasks, and deal activity all in one location. Tasks—Tasks are reminders that prompt you to reconnect with Contacts after meetings or email exchanges or to perform specific actions, such as sending a contract to a client. 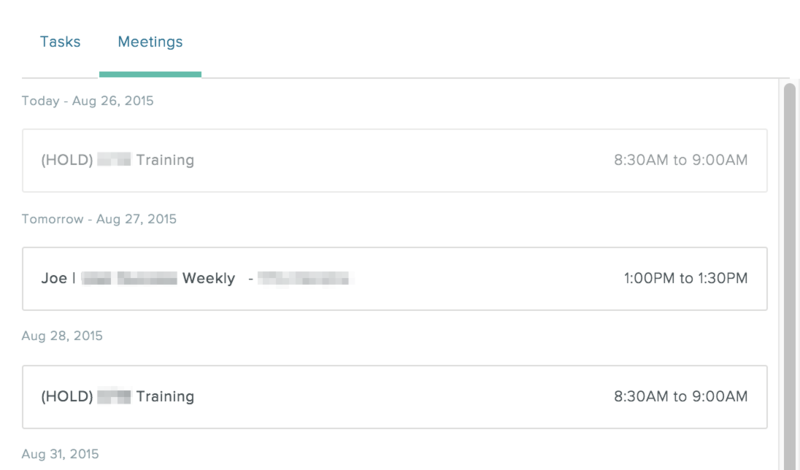 On the Home screen you can easily create, assign, view, and manage tasks. For details, see Create and assign tasks and Work with tasks. Email—Click Email to compose and send a message directly from the Home screen, without needing to go to your inbox. Note: You can also create emails from the Email button (shown below), as well as view drafts by hovering over the button. Meetings—Click the Meetings tab to view all your upcoming meetings without needing to open your calendar. 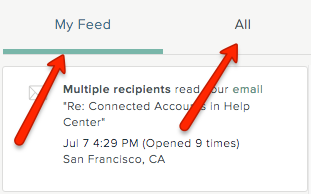 You can take 1-click actions from this tab to email all attendees, dial into GoTo Meetings, view invites, and more. Read receipt information shows when someone opens your email, whether the email was sent via the web app, mobile app, or Gmail. Read receipt information appears on My Feed only. An indicator when someone liked your comment or one that's relevant to you. 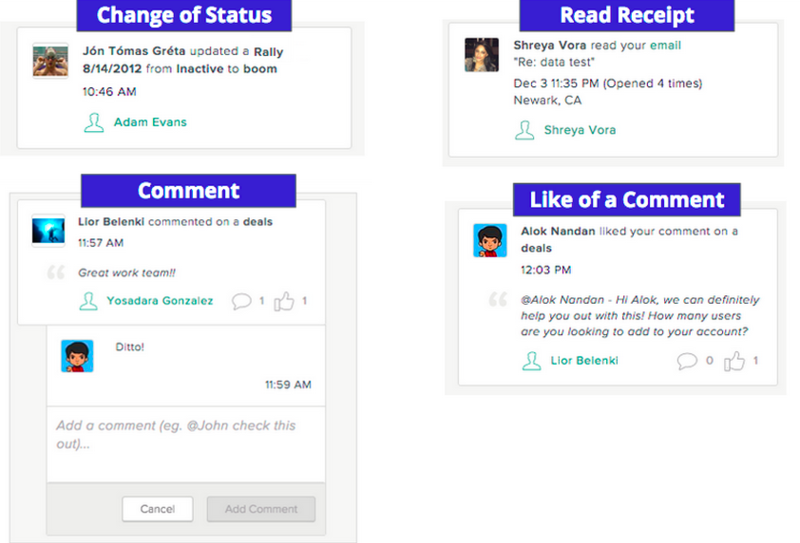 Invite Users—Click Add Teammates to invite users to your Organization. This option appears for Organization admins only.